Digital technology has changed the business landscape in every imaginable way. How employees work, where value comes from, how to gain an edge, the importance of security, and so much more. (John Newton in "Digital transformation: it's all about flow"). Alfresco is aware of how technology and innovation is disrupting the user’s journey in managing documents and process and, together with all partners, is helping customers in the modern transition. Translating the digital transformation in a scalable and affordable solution is OUR today’s challenge. For partners, like Pernexas, the transformation means connecting content and process (AKA Alfresco) with enterprise application (aka SAP); Incentro is developing a tight user interface to motivate employees and customers to easily execute their (work) processes and submit their documents and data flawlessly. 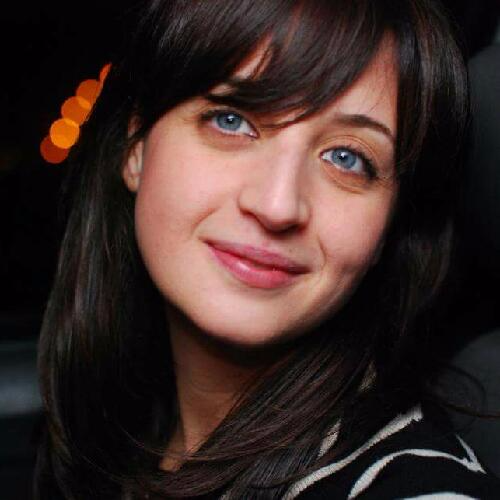 System integrator, like Contezza, help companies to move to smart, safe and data-driven businesses. But what does digital transformation mean for our customers? The modernization process on the customer level experience is a matter of the whole organization and requires both, front-end customer-facing functions and back-end. Companies must review their operations with an open mind accepting that a radically different approach may be needed. All parts of the operating model (i.e. channels, people, process, technology and information) should be reviewed. 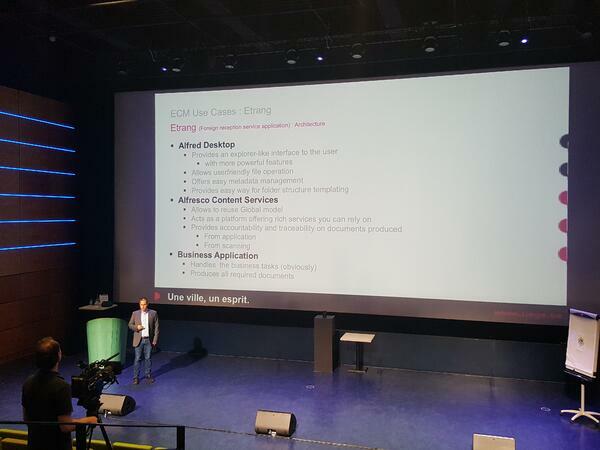 During the Alfresco day event in Amsterdam, two customers of us showed how they are unlocking the value of Alfresco, by adopting targeted products and solutions to increase quality of services and time-to-market and reduce TCO (Total Cost of Ownership). 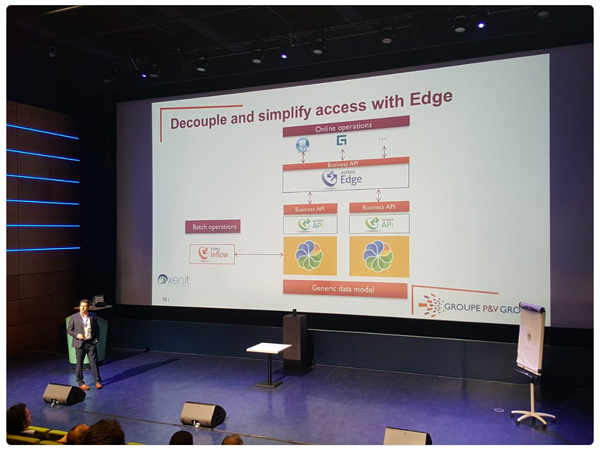 Two different customers, two different organizations and approaches, two different solutions, but same challenges to be solved: an agile architecture to go faster into the market and a higher user adoption to drive change. Actel, which sells directly via the Internet and indirectly through agreements with vehicle importers. For Dominiek Leclercq, Domain expert, and Tom Dewaele, Project Manager at the P&V Digital Competence center, the digitization process is translated into a decoupled and simplified architecture, by integrating their online operations (Guidewire) into several Alfresco instances, through the Xenit's API Gateway, Alfred Edge, a single point of entry for an agile solution. Ville de Liege is the Public Administration of Liege, the third biggest city in Belgium, with 2900 full-time employees, 100 sites and 30 missions (population management, education, public spaces management,...). Business Application: to handle business tasks and produce all required documents. The solution is built upon a smart content model, supporting multiple departments and a user-friendly interface, with powerful search tools and a better desktop integration with Alfresco. In reviewing the Alfresco event surveys, these sessions received astounding scores and remarks. Xenit is playing an important role in unlocking the value of Alfresco, by developing products and solutions to ensure customers can implement their strategies in a simple and long term cost-efficient way. We build a trusted and sustainable relationship with our customers, driven by their needs, enhanced by our expertise and by delivering quality and reliability. This is what digital transformation means for us: a pragmatic and scalable approach to solve customers challenges in an agile and intelligent way. Customers can innovate their process without disrupting their operations.